Antergos is an arch linux based operating system, it uses well known GNOME3 as its desktop environment and is considered among top 30 popular linux distributions all across the world. Started in 2012, initially the project was named as Cinnarch. It uses arch linux rolling release mode and have its own package manager too, named pacman. Pacman package manager and Arch Linux repositories makes packages availability and installation a piece of cake on Antergos. We will be reviewing its important features and installation process today. 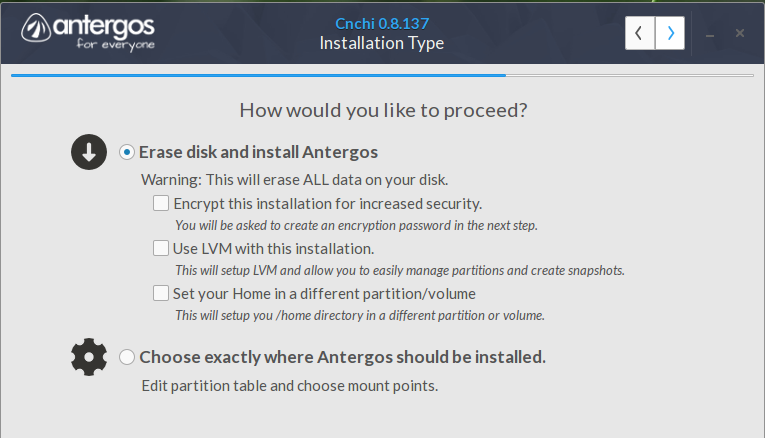 Being a popular arch Linux distro, Antergos is bundled with many features. Some of them are listed below. It comes with every essentials utility pre-installed. Rolling release model, make is easy to keep apps on updated versions. 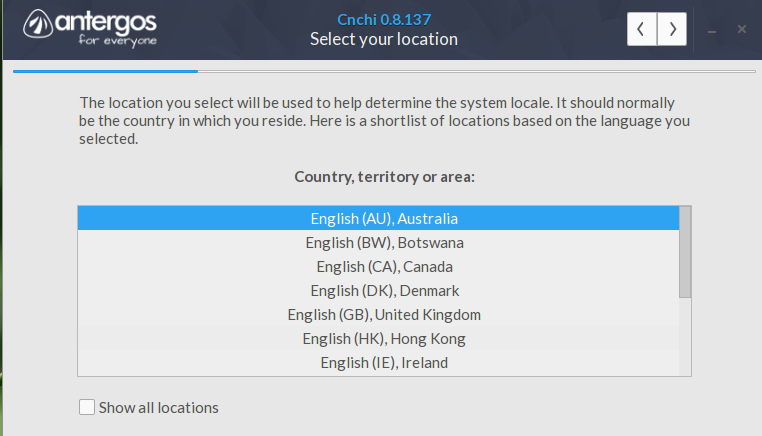 It is multilingual operating system and supports for Spanish, Galician, Catalan, English, and German languages. Easy to use and fast installer, completes OS installation in less than 15 min. 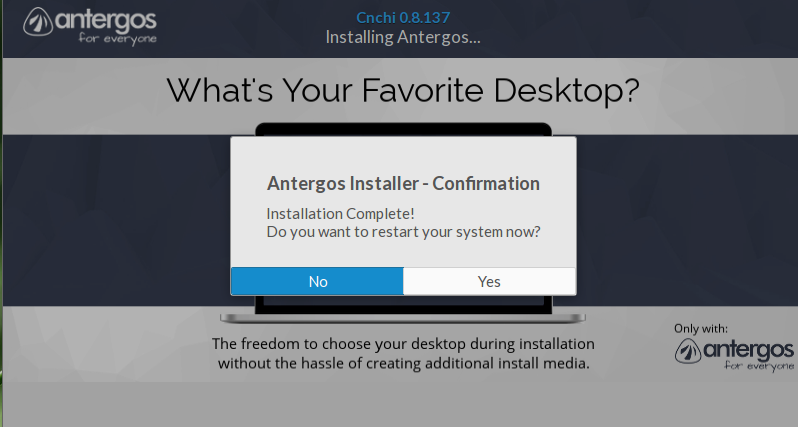 There are two ways you can initiate the install process for Antergos. 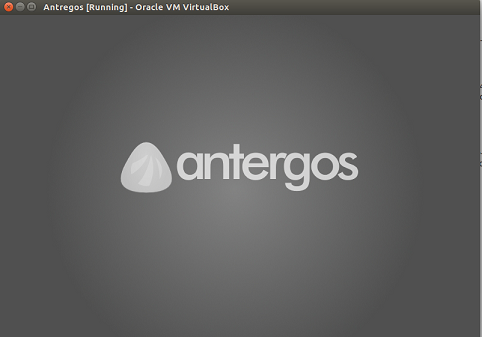 Use Oracle Virtualbox to create a virtual machine on your current operating system and boot this virtual machine using downloaded ISO of Antergos. Whichever method, you follow, here is the very first screen you will see when booting using Antergos ISO. From here, click “Start Antergos Live” option. Click Antergos Icon and it will launch the installer. Choose “Install it” option from here. 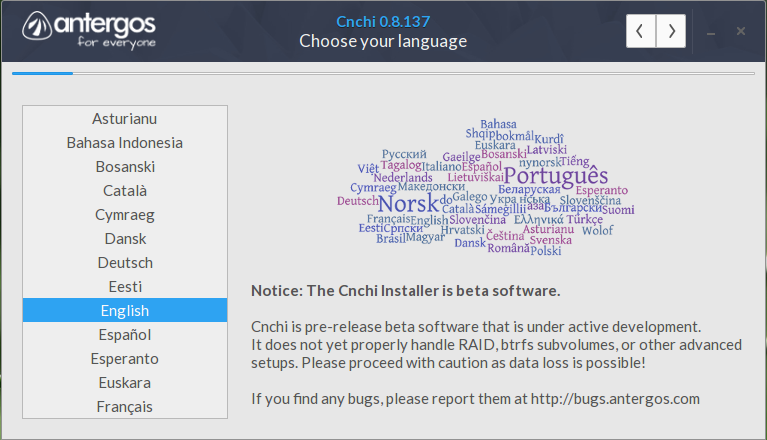 As a first step of installation, choose your language, and click > button on top of window. Choose your location from next step. 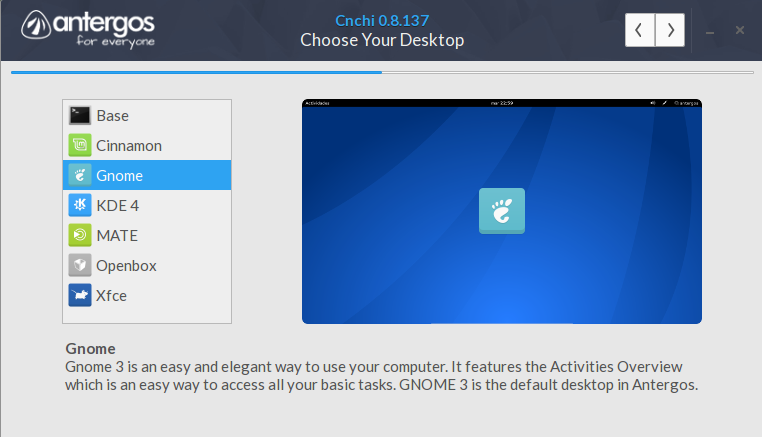 Choose your preferred desktop environment here, we will go ahead with GNOME. This is most important stage of installation now, choose how you wish disk partition, default option should be to erase disk and install new OS on it or you can also specify custom partitions by choosing the second option from here. Once done, hit > to proceed further. 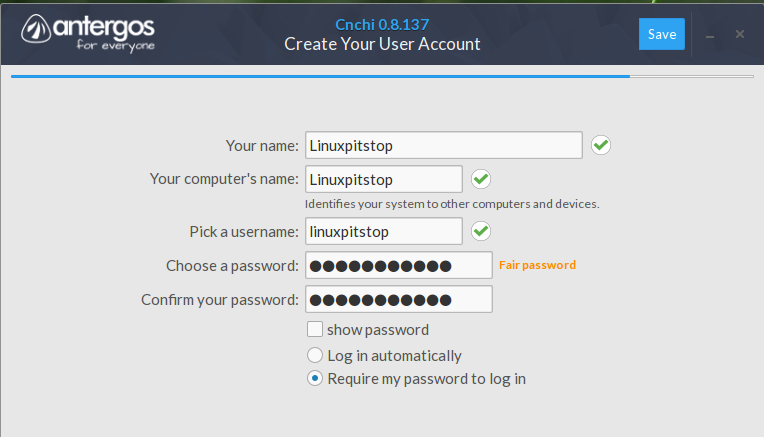 Specify your user accounts details here. That’s all, antergos install will start now, it will keep updating you regarding installation progress with its intuitive progress bar.